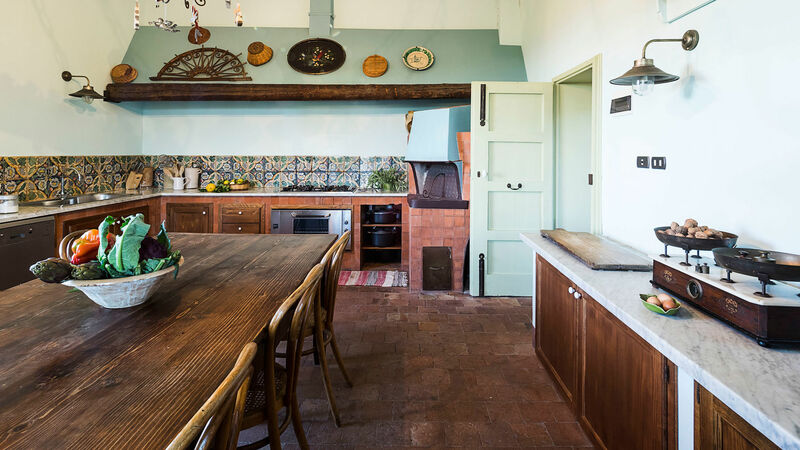 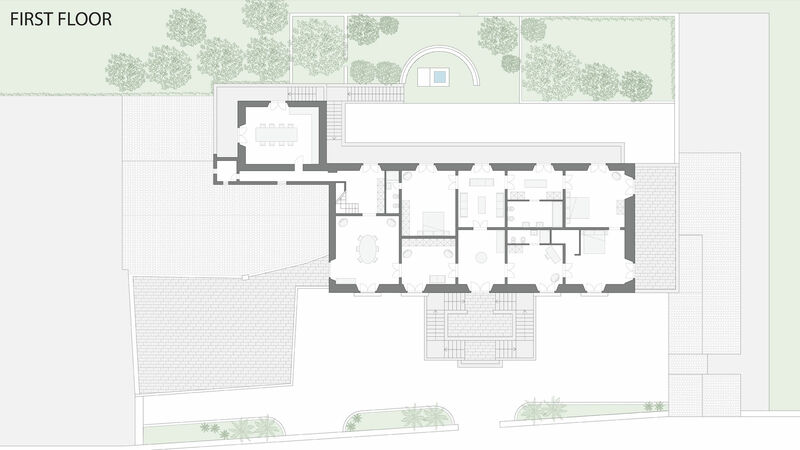 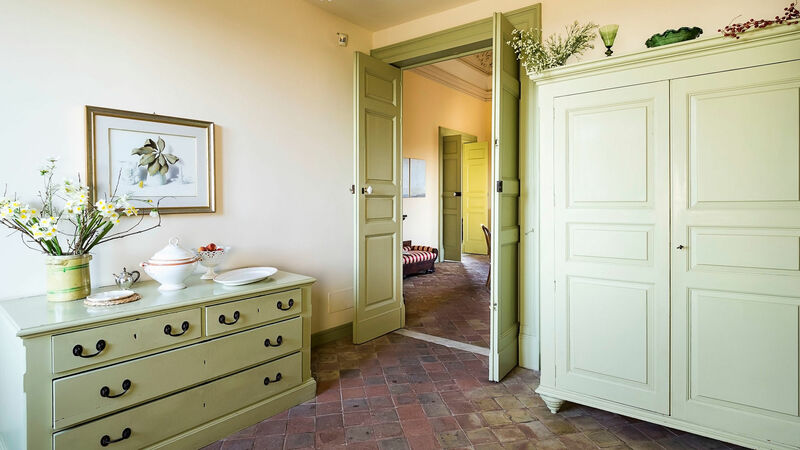 This 1700 country manor has been restored to fully preserve the original structure and appearance. 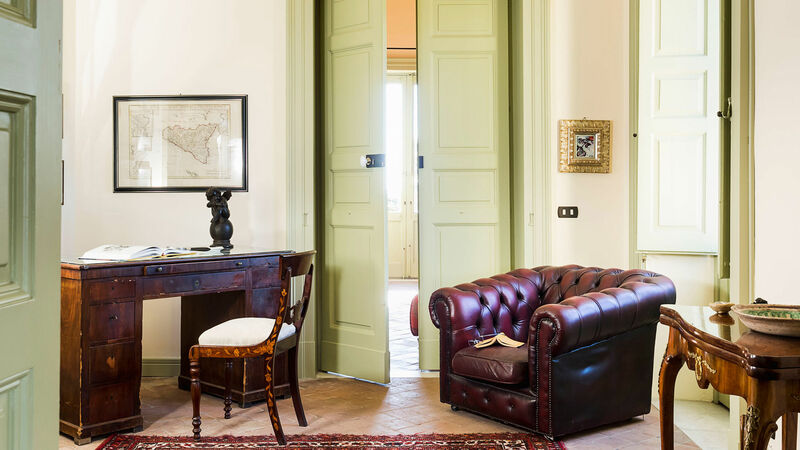 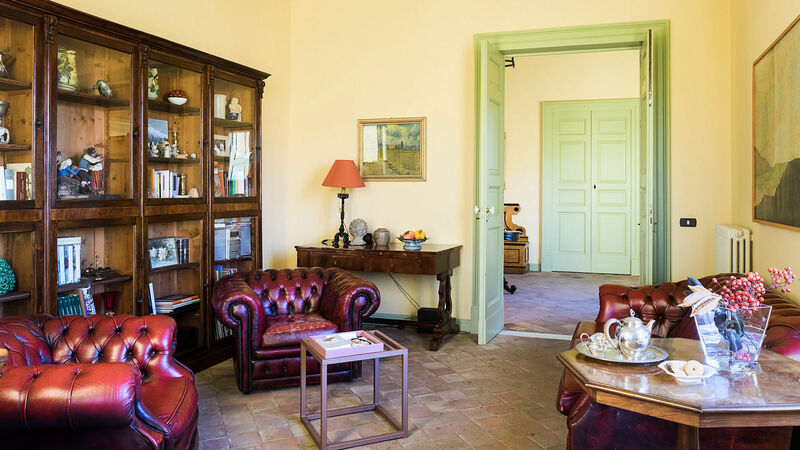 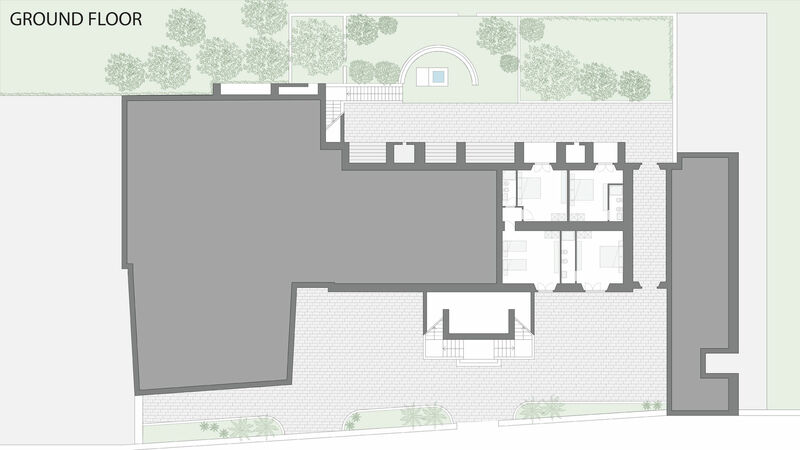 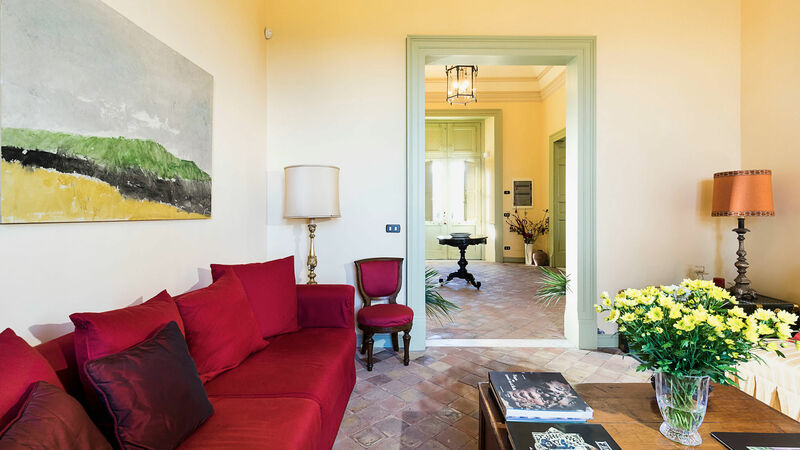 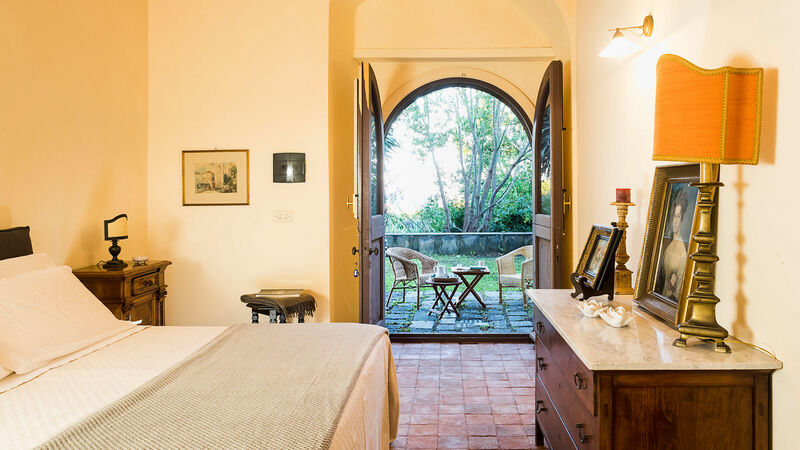 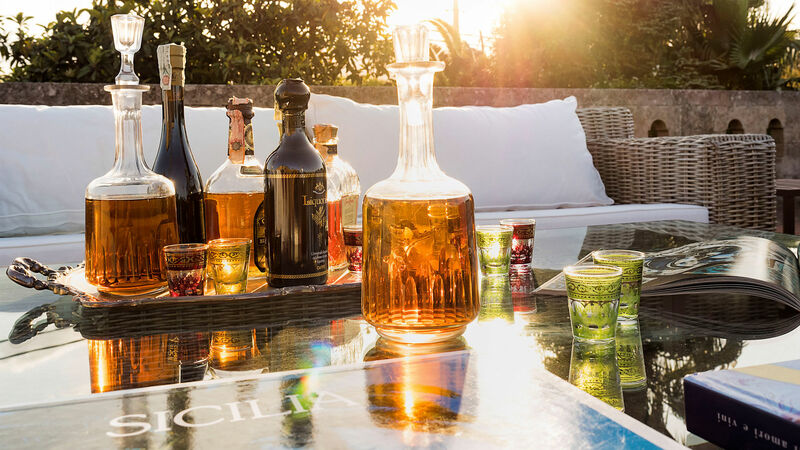 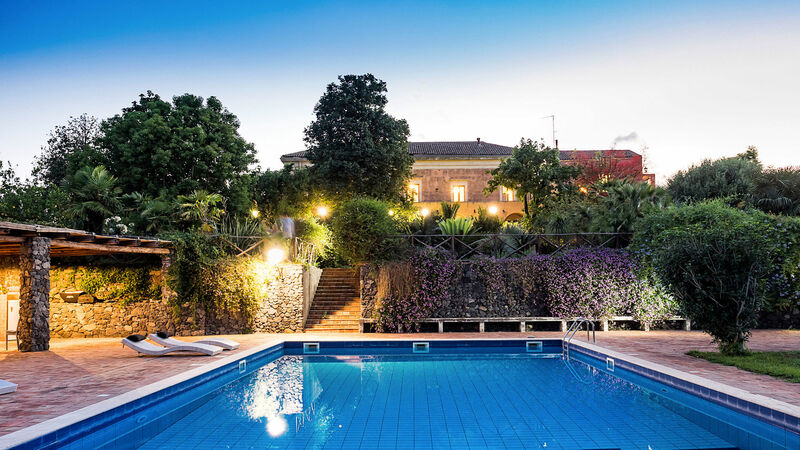 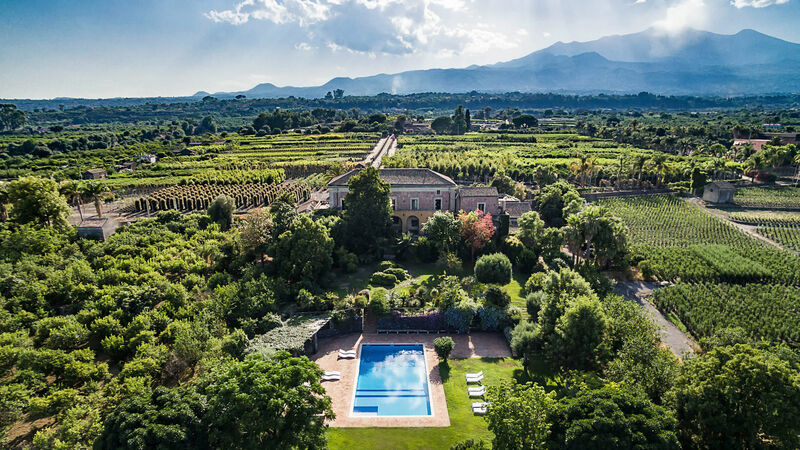 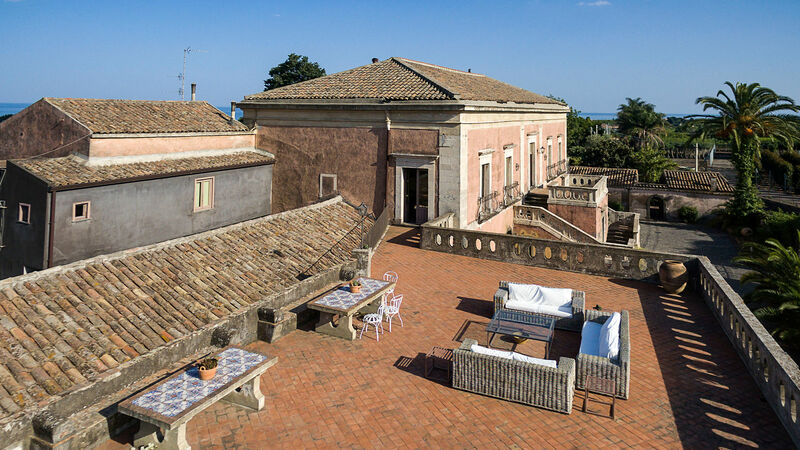 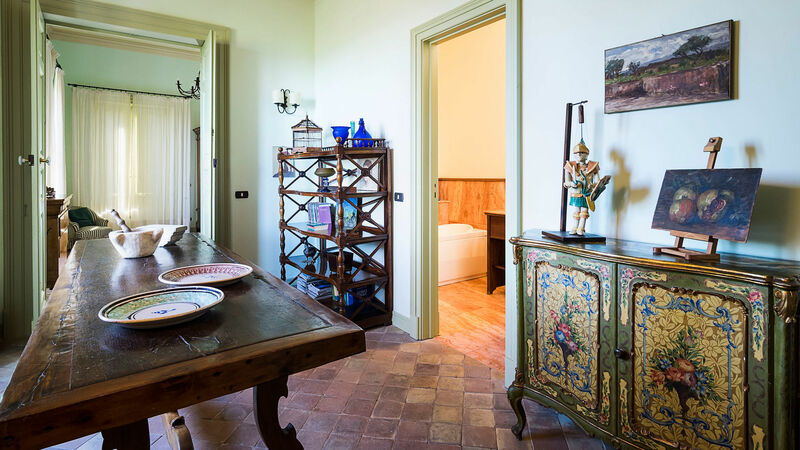 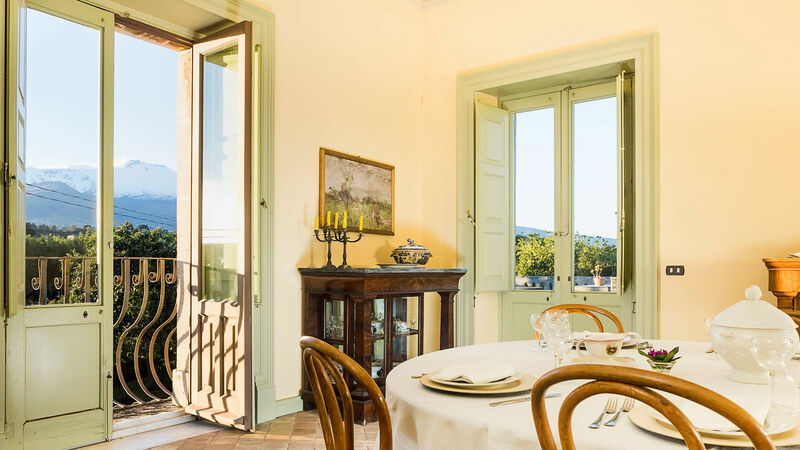 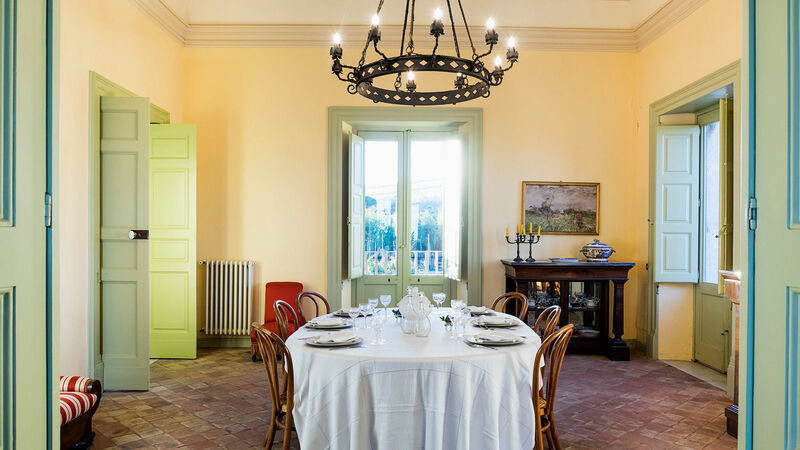 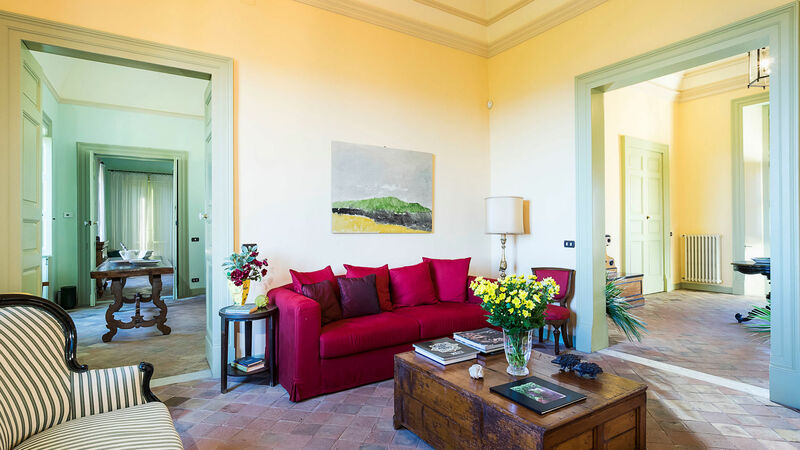 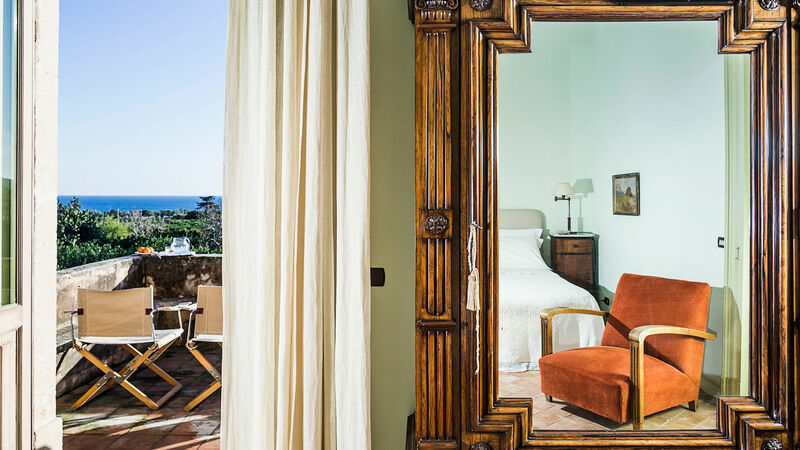 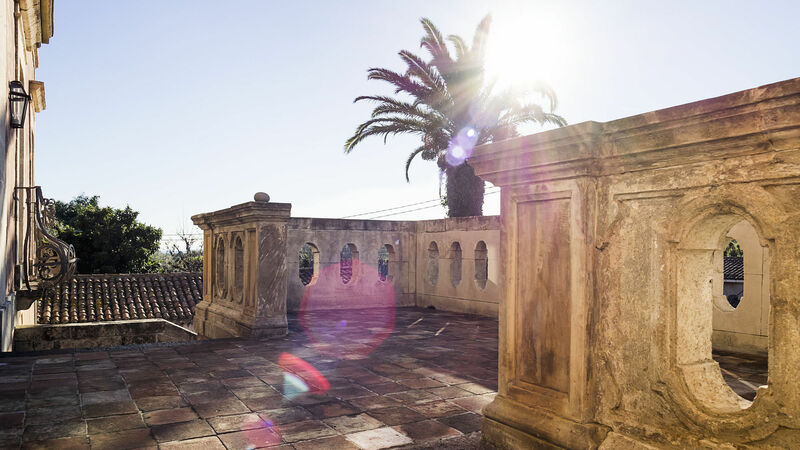 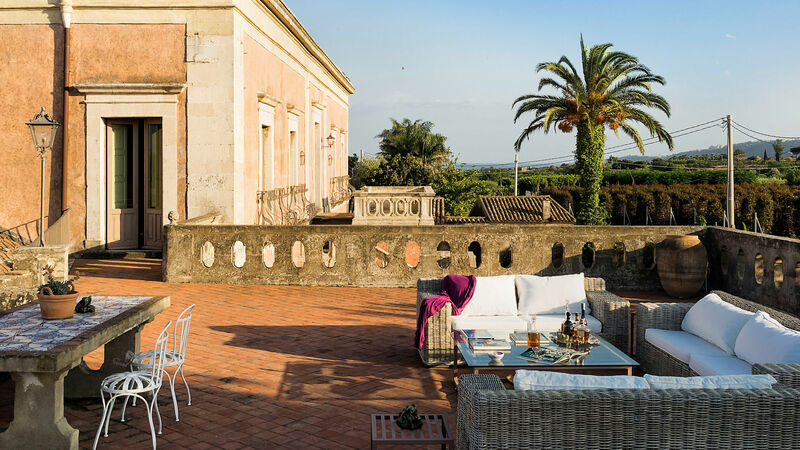 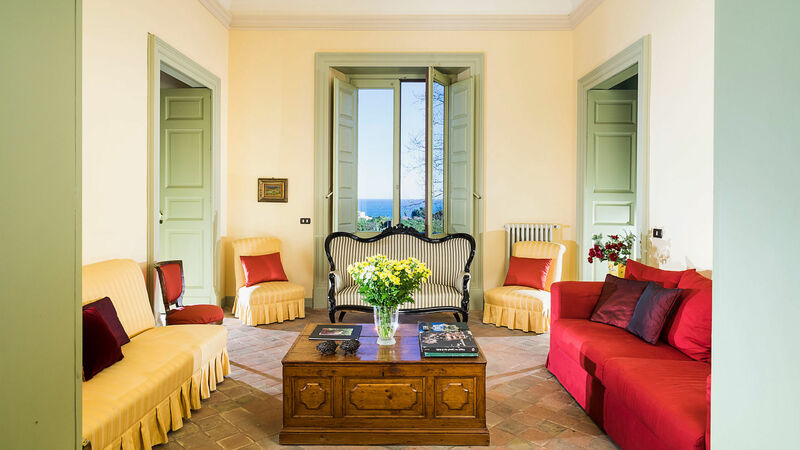 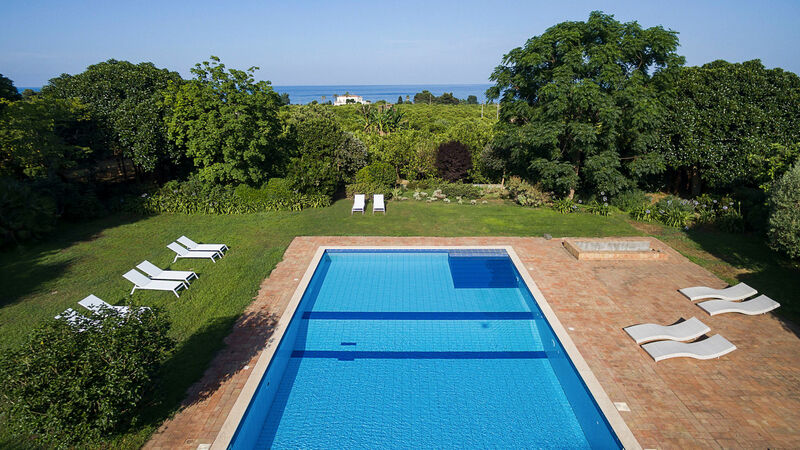 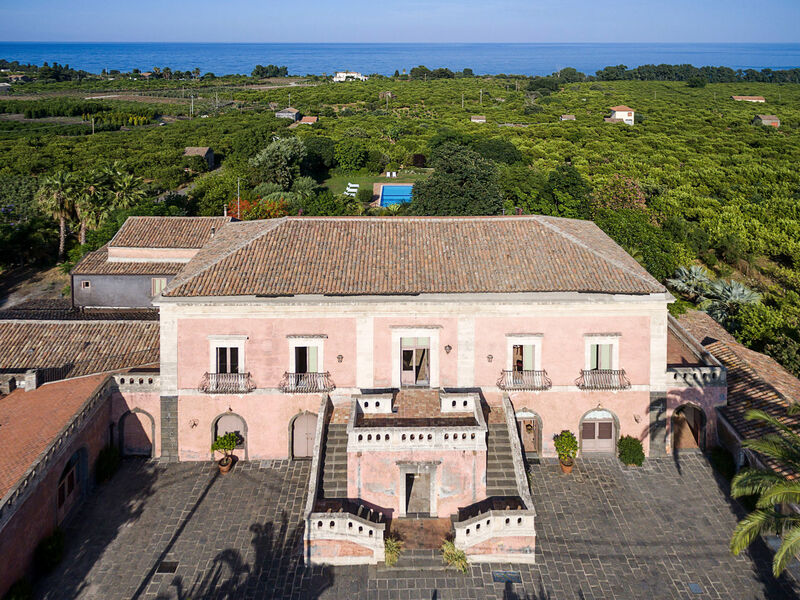 The villa is strategically located on Sicily's east coast, just 1 km from the sea, between Taormina and Catania, providing breathtaking views over Mount Etna and the Ionian sea. 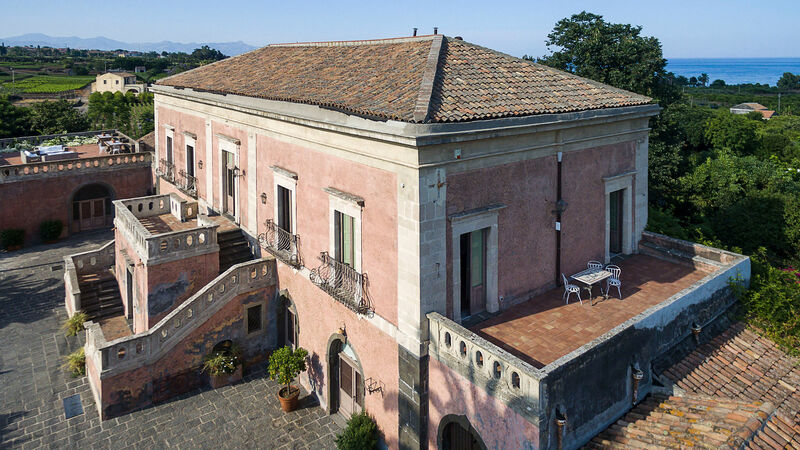 The impressive monumental architecture and the scenic staircase are reminiscent of the novel "The Leopard" written by Giuseppe Tomasi di Lampedusa. 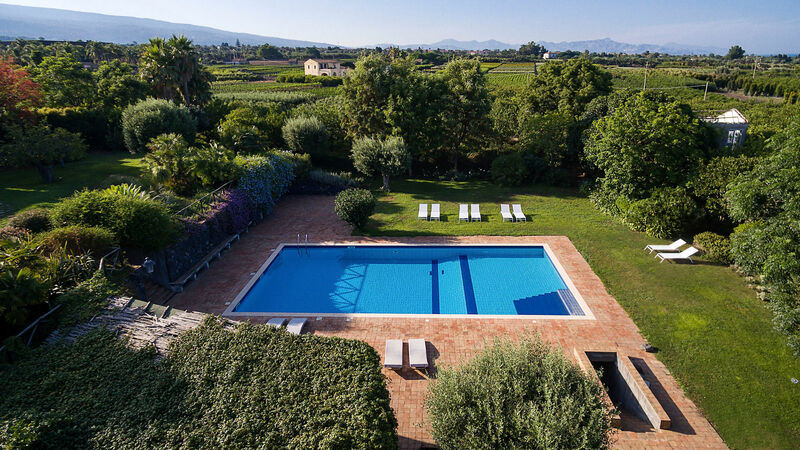 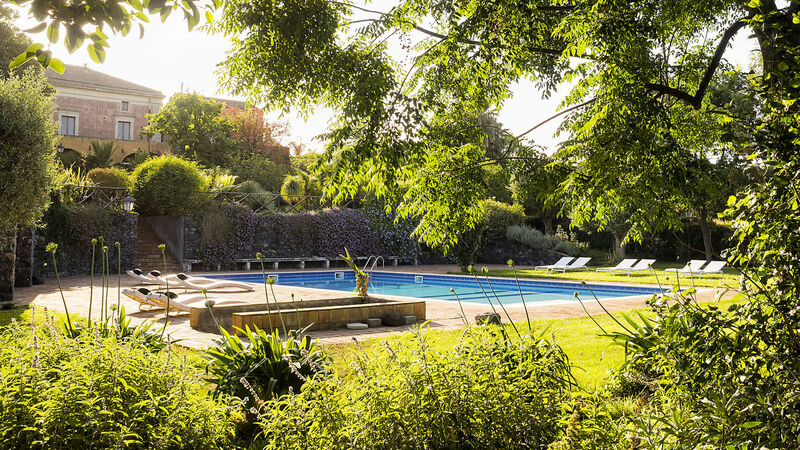 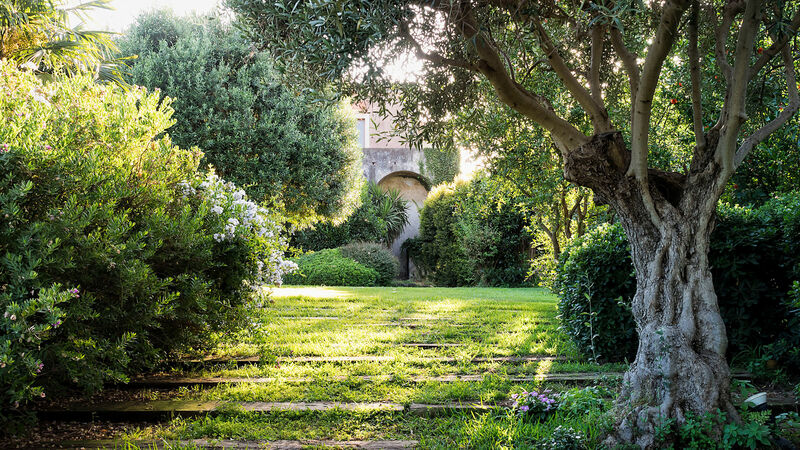 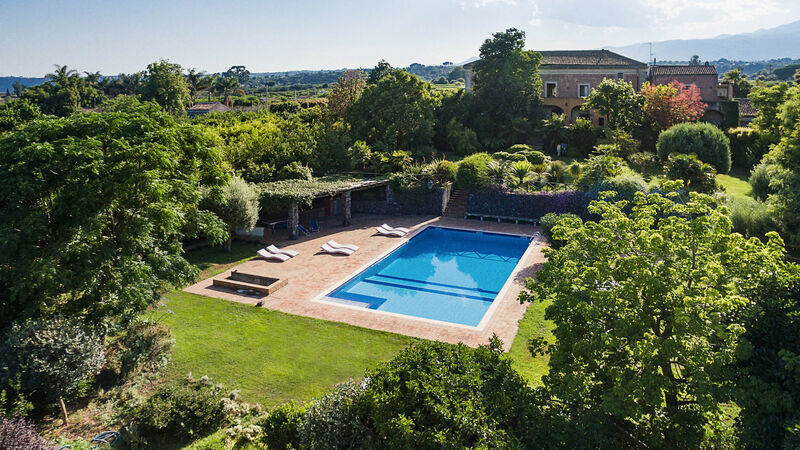 The mediterranean garden with swimming-pool behind the villa contributes to the beautiful and scenic landscapes visible from the house. 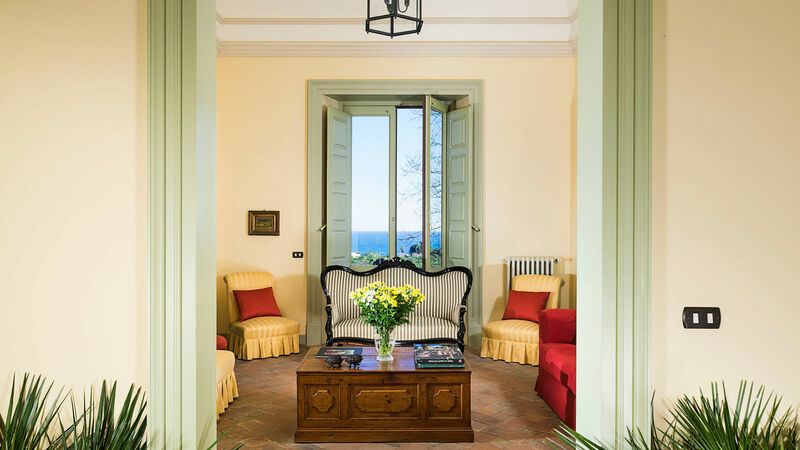 On the first floor, generous, well-proportioned space comprises : 3 suites with double bedrooms and en-suite bathrooms, 2 sitting rooms, a fully equipped kitchen also featuring an old wood stove, dining room and a terrace with splendid views of Etna and the sea to enjoy evening dinners and drinks. 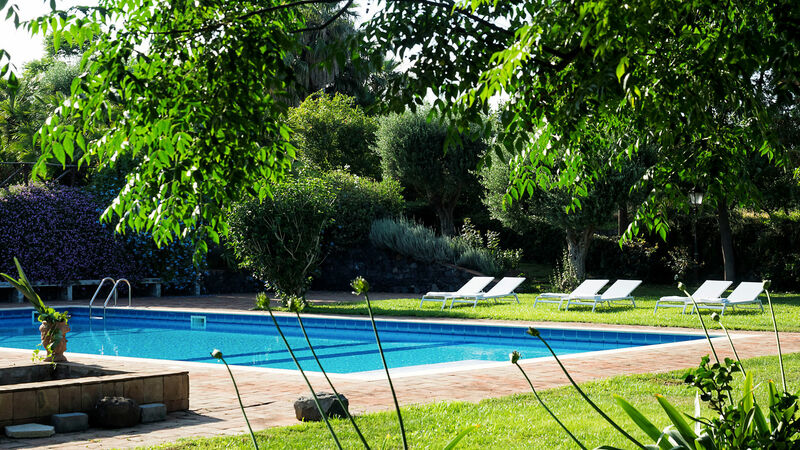 The pool area, fitted with a wooden porch complete with barbecue and fridge, is the ideal venue for evening dinners and al fresco drinks and lunches. 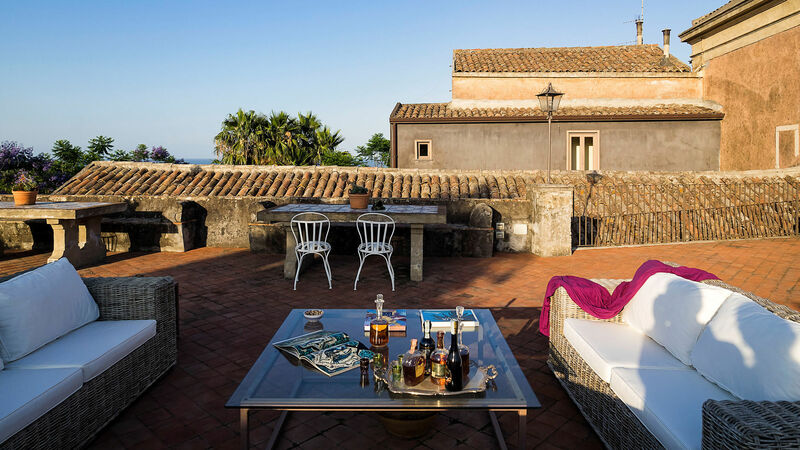 "Without Sicily, Italy leaves no image in the soul. 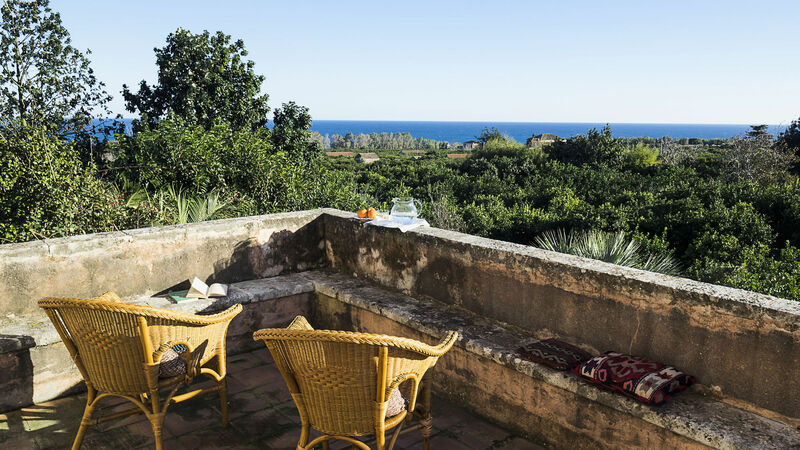 Sicily is the key to everything" Goethe. 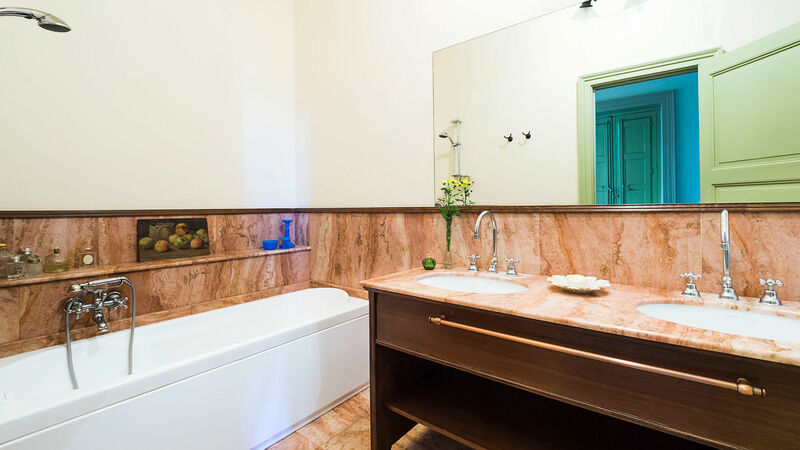 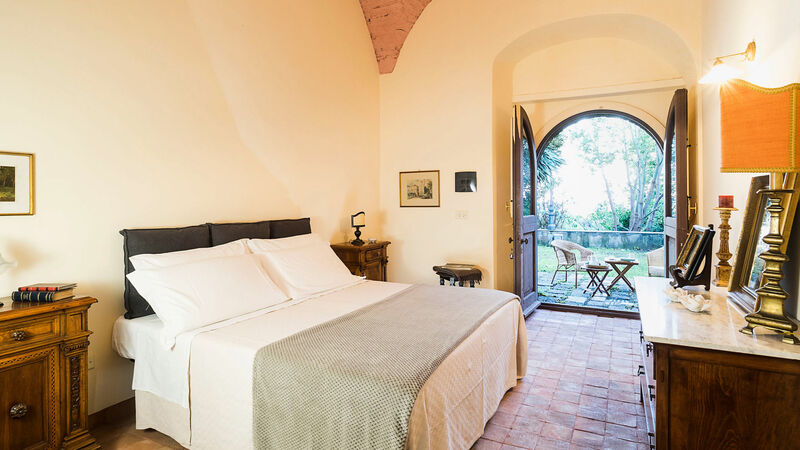 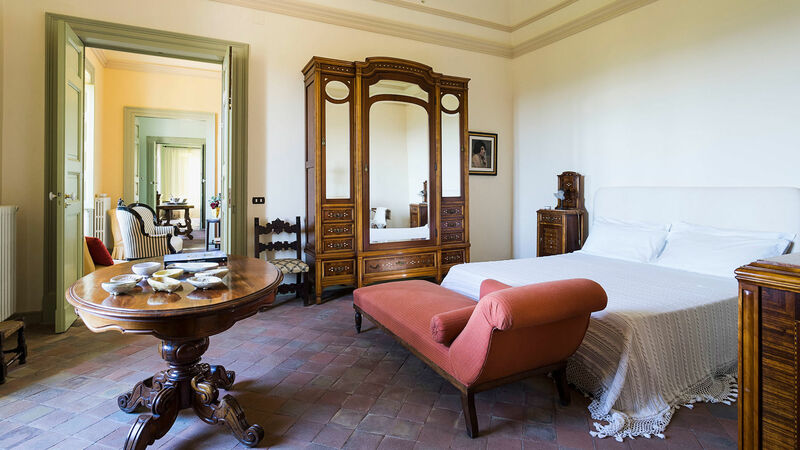 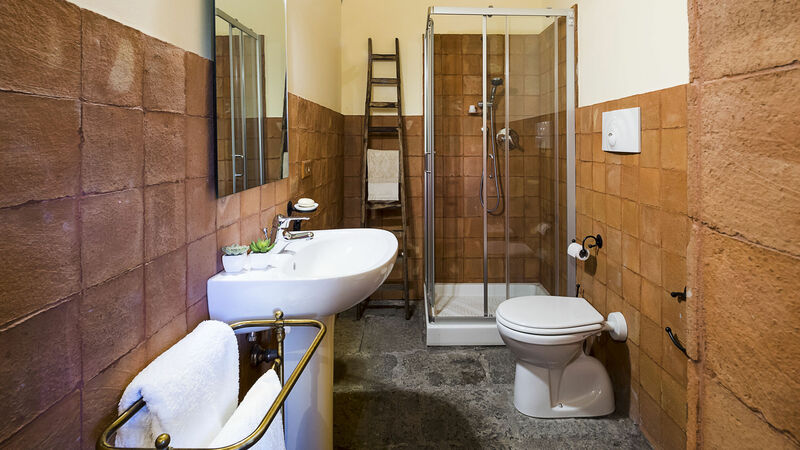 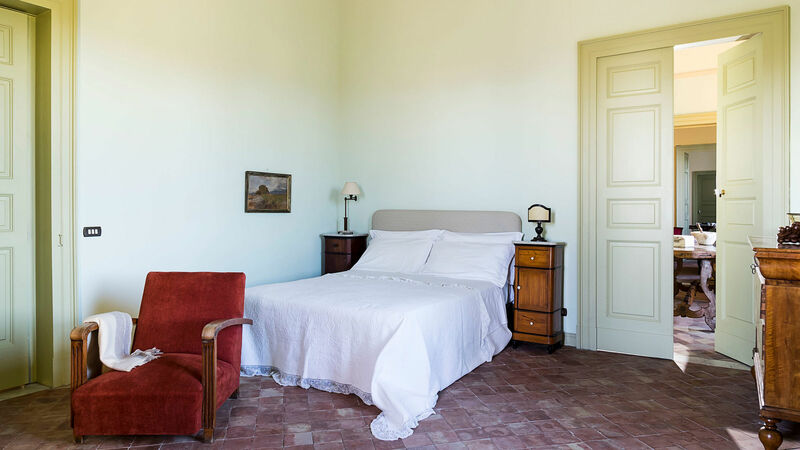 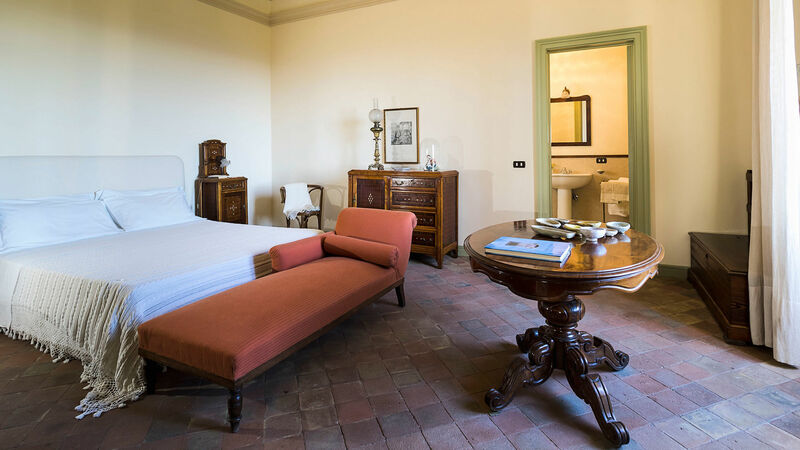 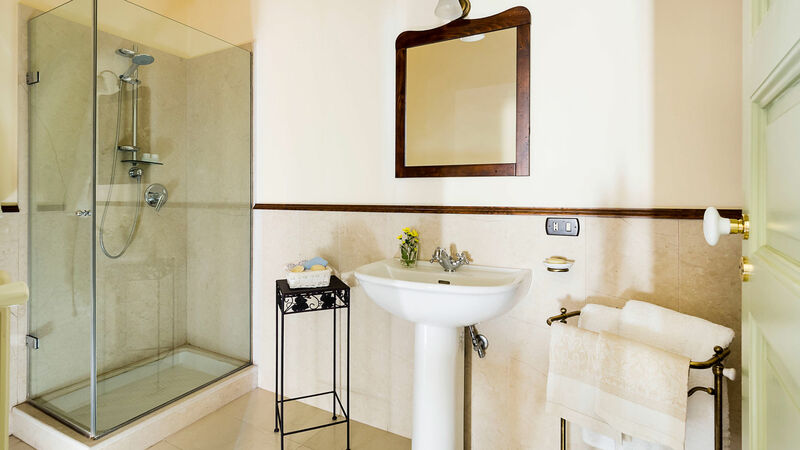 Two Suites with En-Suite Bathrooms and Queen Size Beds: 190x200 cm / 76" x 80"
One Family Room with Queen Size Bed and Two Single Size Beds: 97.5x200cm / 39" x 80"
80 € extra per night for each additional guest over 8 persons.